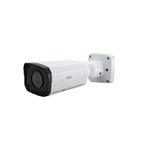 HD-IP Cameras - PIP-4MP-2324EBR-DPZ28 - Only $399.95! The lastest of exceptional HD IP Cameras is the PIP-4MP-2324EBR-DPZ28 - a 1/3"4 Megapixel HD IP Bullet Camera with a Motorized Zoom Lens from Uniview. This vandal-resistant camera is a must-have for any new residential or commercial installation. Its sleek design makes it a perfect fit for a wide range of application. It offers wide dynamic, On-Screen Display and with the IP rating of 66, this camera will work indoor or outdoor with no problem. The greatest feature of the PIP-4MP-2324EBR-DPZ28 is the Motorized Zoom Lens with Auto Focus. No longer will you need to try to adjust the lens and focus the camera while on a ladder. All you need to do after adding this incredible camera to your network is mount it to the side of your building, garage, warehouse, etc., connect the cable and go. Since it has already been networked with your router, you will be able to adjust the lens and focus the camera from the comfort of your desk. The 2.8-10mm lens with assist you in delivering a crystal clear image for the highest level of security.